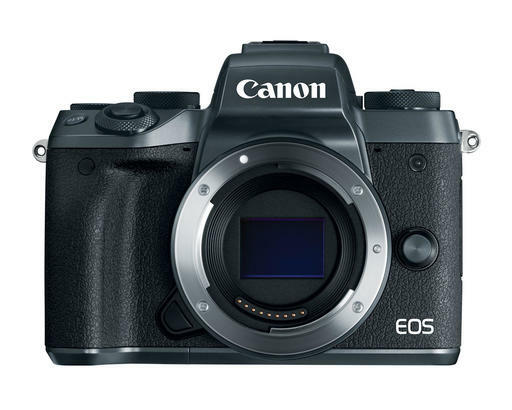 Canon announced its first mirrorless body that I've found interesting, the EOS M5. Despite its lack of 4K video, which I don't consider a deal breaker, the specs are terrific. 24.2 Megapixel CMOS (APS-C) sensor, with ISO 100-25600. Intuitive touch screen 3.2 tilt-type (85 degrees up/180 degrees down) LCD monitor (approx. 1,620,000 dots) enables flexible positioning and clear viewing. The problem is, I couldn't switch now, even if I wanted to. The same thing that kept me a Canon shooter for so long - my lens catalog - now prevents me from moving to them for my mirrorless work. I have a substantial investment in Olympus and Panasonic optics that I truly like. Those zooms and primes are compact, sharp, and capture great images. And at this point in the game, it just doesn't make sense to hand those over for a limited selection of Canon M lenses. Using an adapter for my existing EF optics isn't a consideration either. After shooting with an Olympus 45mm f/1.8 prime that's razor sharp and weighs only a few ounces, it seems like stepping back in time to mount a Canon 85mm f/1.8 EF via an adapter to a mirrorless body. Plus, Olympus will probably announce their own updates around Photokina, yet moving the mirrorless ball forward and distancing themselves further from Canon and Nikon. I'm glad that Canon created the M5. They needed to show the world they could get serious about mirrorless. And I hope the world enjoys shooting with it.